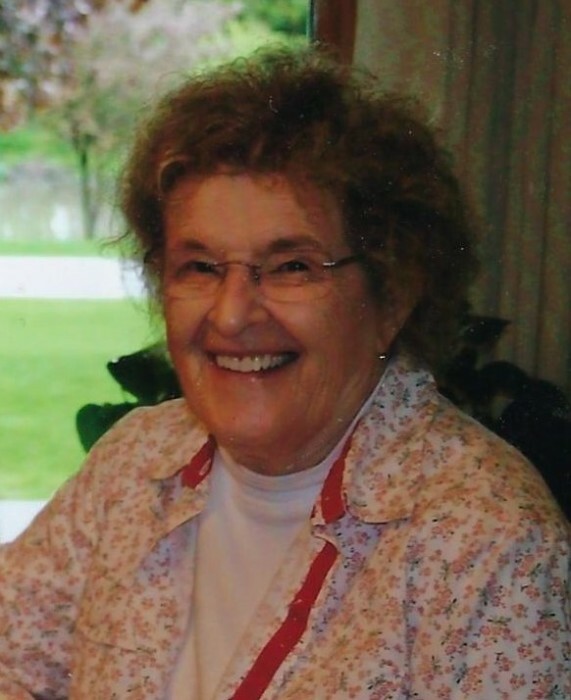 Margaret Potopovich, 86, of Newton Falls, passed on a peaceful Sunday afternoon, March 17, 2019 in the Antonine Village in North Jackson, Ohio. She was born on January 20, 1933 in Warren, Ohio the daughter of John and Anna Susko Prokop. Margaret was the third youngest of John and Anna’s fourteen children. On September 30, 1950, Margaret and Adolph Potopovich were united in marriage in St. Peter and St. Paul Catholic Church in Warren, Ohio. Margaret showed great love and affection to her family. She was an ideal mother to her children, John and Shirley. The family garden made it possible for Margaret to prepare canned goods and have fresh vegetables for the family Sunday meal. The children remember enjoying her fried potatoes, cherry pies and nut rolls. She was proficient at sewing, a skill that was useful throughout the years. Her crocheting ability allowed her to create beautiful afghans. Margaret was a parishioner of St. Mary and St. Joseph Parish in Newton Falls. Cherished memories of Margaret will be carried on by her loving family, her son, John; her daughter, Shirley (Howard) Wolf; her grandchildren, Stacie (Doug) Feiock, Mark (Shyla) Wolf, Melinda (Dave) Ziegler, Karissa (Jared) Logan, Ashley (Sean) Young and Jonathan Potopovich and her great grandchildren, Jillian, Ricky, Walker, Bruce, Gracie, Kylie and Reese. Preceding Margaret were her husband, Adolph on January 31, 2012; her daughter-in-law, Luann Potopovich; her brothers, Frank, Andrew, Michael, John, Nick, Peter, Stephen and George and her sisters, Ann, Mary, Eva, Julie and Helen. The family will receive friends on Thursday, March 21, 2019 from 9:30 a.m. to 10:30 a.m. at the Borowski Memorial Home in Newton Falls, Ohio. A Mass of Christian Burial will follow at 11:00 a.m. at St. Mary and St. Joseph Parish in Newton Falls with Rev. Shawn Conoboy as celebrant. Interment will be in St. Joseph Cemetery in Paris Township. A special thank you is given to the caregivers and staff at the Antonine Village for their care and love extended to Margaret. In lieu of flowers, material tributes may be made in memory of Margaret to St. Mary and St. Joseph Parish, 120 Maple Drive, Newton Falls, Ohio 44444.